Black jasper with white reliefs. The first edition is circa 1790. 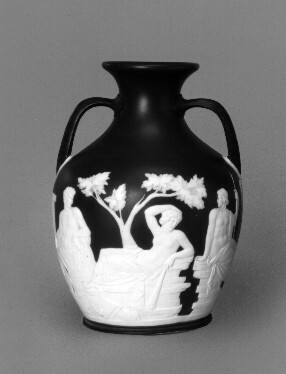 The portland vase is one of Josiah Wedgwood's triumphs and is the symbol of the Wedgwood Society of New York.